Full Moon - Walking along the trail to Marlette Lake in the Sierra Nevada's inspired this scene. The aspens line a wide fire break road and the color of the trees are vibrant in the fall. 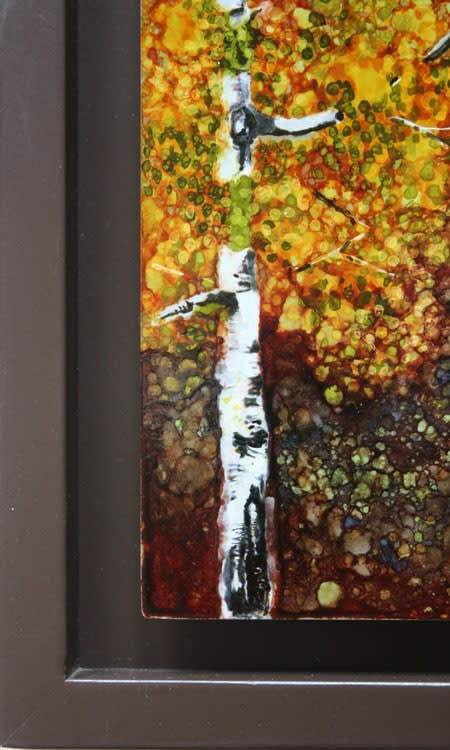 Original is available and executed in alcohol inks on aluminum , the metal helps give a luminescent quality to the piece. Prints are suitable for both metal and traditional giclee .